Improve yourself with the fitness tips, video case studies. 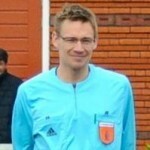 LOTG quizzes and interviews with (professional) referees. Professional referees tell their stories. Top referees and FA tutors give you tips.